The British ‘Season’ is in full swing with Wimbledon, Henley Royal Regatta, Royal Ascot, weddings and all types of invitations to parties being issued. Of course, when you accept an invitation then it’s considered polite to say thank you afterwards, especially if you want to be invited again. If you’re the sort of person who keeps putting off writing a thank you letter then read our top 10 tips for writing thank you letters below. 1. 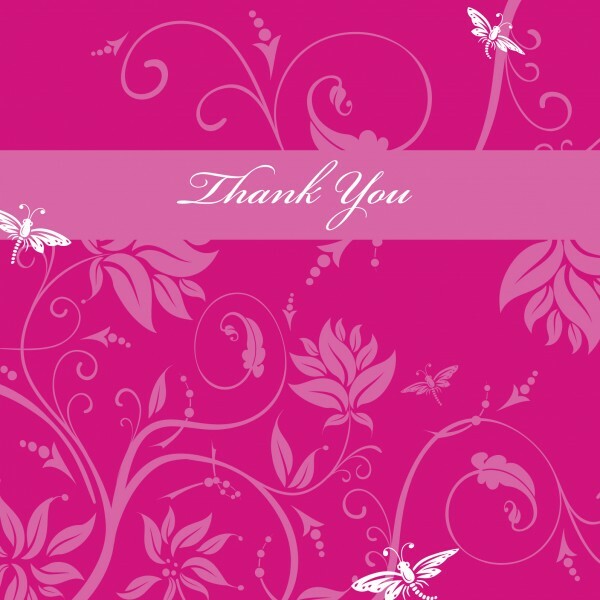 Write your thank you note immediately after the event and get it out of the way. Who you talked to, what you enjoyed and all the details will be fresher in your mind so the words will flow more easily. 2. Plan out what you’re going to say on a scrap piece of paper first – just jot down your thoughts and then put them into sentences. 4. 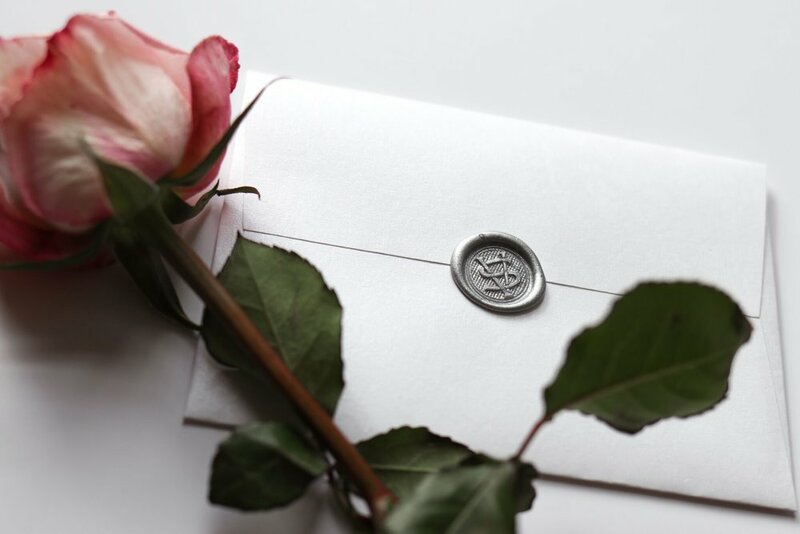 A thank you letter should contain three elements – saying thank you, complimenting your host on the event and the hope that you will talk/meet again soon. 5. 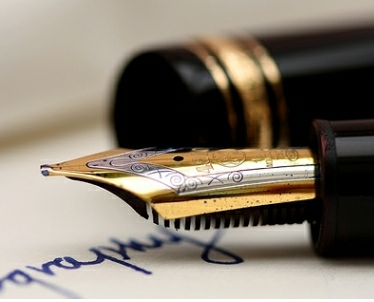 Writing in fountain pen is considered smartest and if you’re saying thank you for corporate entertainment then a written note will impress and make you stand out from the crowd. 6. 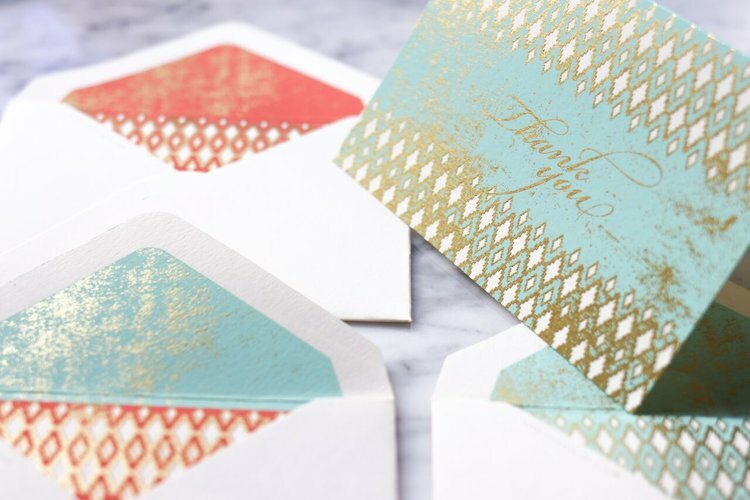 If you have a lot of thank you notes to write at once (for example if you’ve received many new baby gifts) and you’re really short on time, then it is acceptable to have pre-printed cards made with a generic message. For example “Jenny and James Ingram thank you for the lovely gift sent to their new baby son Tom and hope to introduce you soon.” Then just sign the card yourself by hand. Ananya can also create a personal monogram for the couple to decorate the card. 7. Unless it’s a very casual affair, e mailing and texting aren’t the right way to say thank you for gifts, parties, theatre trips, dinner, Wimbledon tickets etc. 8. Write, don’t type the outside envelope. A handwritten envelope with a proper stamp is a welcome arrival in a letterbox and makes a change from brown envelopes with windows. If the letter is being sent to somebody at work, mark it ‘Personal’ so that a secretary doesn’t open it. 9. The top line of an address should be written about two thirds of the way down and every line should be indented beneath. 10. 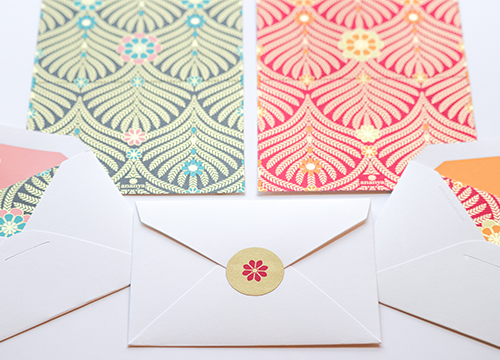 Keep a drawer full of notecards and postcards handy and a book of stamps so that you’re always ready to write.